I have been inquiring of this borrowed, gifting bowl for several days now. We are gazing partners. I am in relationship with it, and it stirs many things in me, like AWE – Awe of a community which continually dreams up new opportunities to interact with each other in ways that weave positive connections of all sorts. This community is like a magical fabric that is supportive, flexible, not too tight, comfortable, etc – a wonderful mesh somewhat like our own physical body’s connective tissue. This bowl is a particle of that connective tissue. 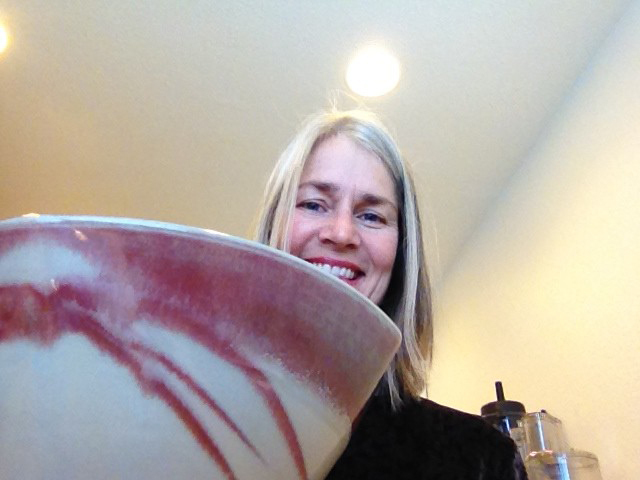 When I held this bowl to give it a preliminary washing, I became even more conscious that this artful, functional piece was made by someone in OUR community. I am sure that reading Vicki Robin’s new book, “Blessing the Hands That Feed Us” has increased my capacity to feel more deeply the real profoundness of local (as in, right here on this island). Someone in my community made this bowl. Wow. I’m really grateful for this physical evidence of caring. This energy of brightened awareness inside me is like a pinball machine in motion, naturally pinging other warm community experiences that are happily lodged in my being. I rest in that, for a moment. Six Bowls, Heart & Hammers, Good Cheer, lots of music, good food, poetry, generosity, curiosity, creativity….. These all weave the magical community fabric that helps hold us all together in a way that feels groundingly good. 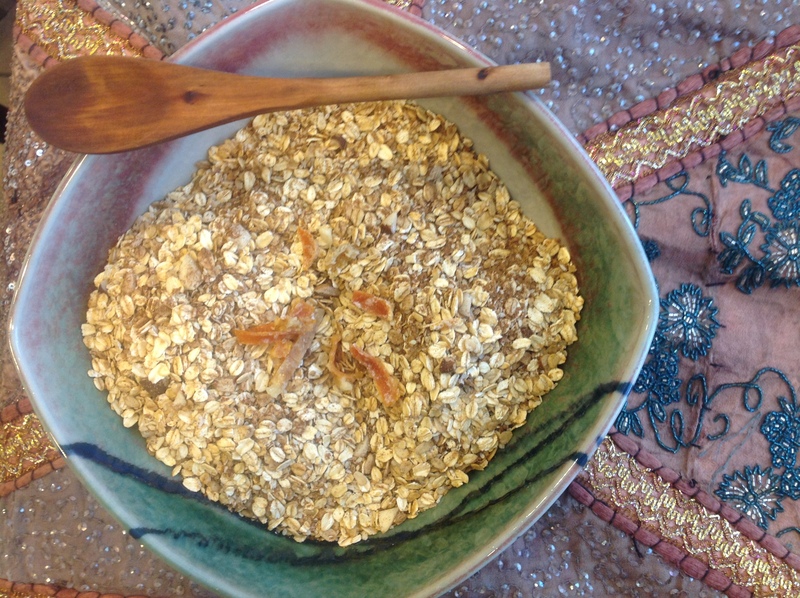 In fact, that sounds like a good name for the granola I made which you can see in the photograph of The Beautiful Community Bowl that came to visit. My thanks to those who dreamed up Six Bowls, and to my beautiful community.